Speed, economy and ease of use make ProClick Pronto Spine Cassettes a great choice. They give you maximum flexibility and convenience. Pre-loaded cassettes are designed for fast, efficient binding, and ProClick spines are easy to open and edit. ProClick Pronto Spine Cassettes put the power of high-efficiency, highly versatile binding at your fingertips. A total of 100 spines, with 20 spines per cassette and five cassettes per box, ensures productivity. While ProClick spines can be opened and closed by hand, these cassettes use volume to maximize the efficiency of binding machines, allowing the kind of high productivity demanded by busy print shops and corporate offices. Trust your important projects to ProClick. 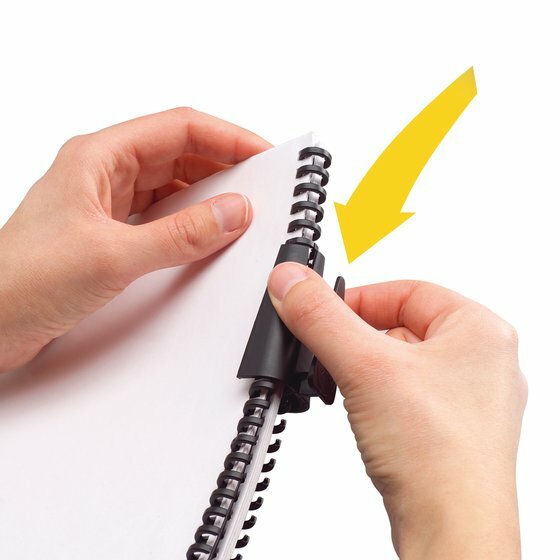 They're machine-compatible, but can easily be opened by hand to add or remove pages. ProClick gives you the professionalism of a sleek, sturdy binding, while giving you the flexibility to edit contents. Spines are easy to open and close, using a pen, an editing tool, or even just a finger.